Being a chef means always working in a fast paced environment. As a chef you will always have to make sure your chef outfit is impeccable and coordinated. Many new restaurant workers are worried about purchasing their chef wear. Even when searching for what to buy, you may not have a very clear idea in mind. There are a few things to be considered before hitting the shops in search of the perfect chef uniform. When you start your job as a chef, you will find it is quite a messy business. You will be in contact with food all day long, and you need a chef outfit that is durable enough to take on all those stains. The chef uniforms should be made of a comfortable fabric to wear, but very durable. Sometimes, you may find you need to pay more to get what you want. Avoid purchasing a uniform made of a material that feels cheap or like it's going to break or tear as soon as you start wearing it. Invest in your chef outfit and you will have less issues. A really good choice is the uniforms found at Handy Chef. The kitchen of a restaurant is often a hazard. There are many accidents waiting to happen at any given time, and the right chef uniform will minimize the potential damage. Try the uniform on and make sure it fits perfectly. Do not purchase any uniform before checking the size chart. If it is too long, you will not feel free to move around. If it's too large, it may make you feel heavier. The perfect chef outfit will fit you just right. When buying online, check the Handy Chef size chart. Budget is something you should keep in mind but don't go cheap on your uniform. If you are tight on cash, search for sales at your favorite store and go from there. 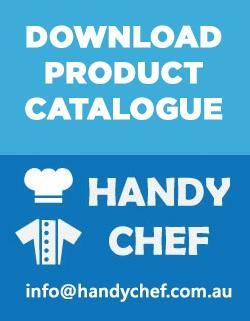 Handy Chef outfits are premium quality but affordable. Many shops offer various discounts, depending on the season. 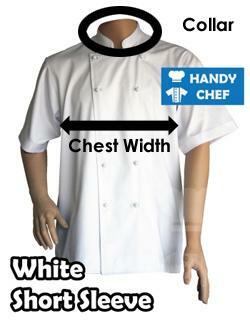 You may just be able to find chef wear pretty cheaply but not a well tailored uniform kit. If there are no sales going around at the time, pay a little more for appropriate quality, if necessary. Check out the online Handy Chef store too, because their uniforms are affordable in price and made of a fabric that lasts a long time. A lot of new chefs do not pay enough attention to the style of their chef uniform. This is a mistake, because an outfit that is out of style will make you appear sloppy. You don't need to go as far as following the latest trends, but choose a timeless design instead. If you are not good with fashion, ask a friend to help you when shopping. It is best to seek the Handy Chef uniforms store Online as we offer traditional looking chef outfits as well as Modern style chef uniforms which will give the best impression, while making you look more professional. Traditional chef' outfits include white chef jackets and the black and white checked chef pants. White catches the eye and makes a good impression. However, white also gets stained easily so remember to keep your uniform clean at all times. 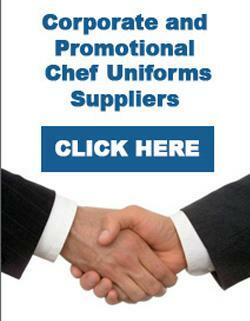 Handy Chef Uniforms are able to offer its customers a select range of colors in their chef uniforms. After getting your first job, you will soon notice it is all about detail. Your eyes must be everywhere, so the last thing you need is to worry about your outfit. You can be sure that Handy Chef outfits are just what you need to be able to cook with no worries.